This is an anti-war film centering on a very strong relationship between father and son. During World War II, an old farmer leaves his village and goes to the front lines in an effort to try and find his injured son. “Father of the Soldier” is not a well known film but its simplicity and emotional power mark it as being special. Rezo Chkheidze maintains a purity of storytelling by recording what the main character sees during his odyssey. The larger insights gained through the judicious use of limited perspective are amazing. The leading actor gives a superb performance highlighted by unforgettable monologues. 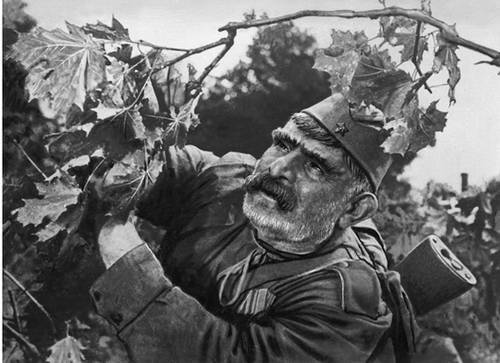 “Father of the Soldier” also pays tribute to Georgian people during the course of the beautiful, dusty and adventurous journey. “Patton” is more a portrait of a man than a war film. The film deals with the controversial American general George Patton with strong opinions and an equally strong will to lead men. The complexities of the film are more those of the man himself than any other factor. Due to this, the quality of the film is very dependent on the actor performing the complex main role. 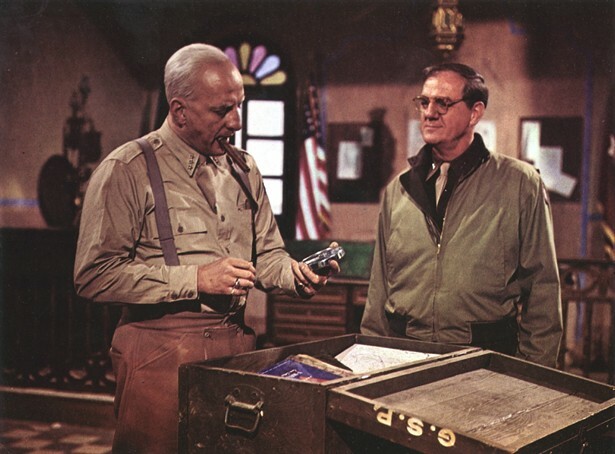 To this end, George C. Scott is a perfect fit for the title role, being full of energy, charisma and electricity. The screenplay was written by Francis Ford Coppola and the screenplay keeps a long film moving efficiently. “Patton” won seven Oscars in 1971. Directed by Clint Eastwood, “Flags of our Fathers” was the American perspective of the Battle of Iwo Jima and told a conventional version of that event. “Letters from Iwo Jima” was the converse, telling the story from the perspective of the Japanese forces. Eastwood took the audience to a difficult place, and paid close attention to significant details and employed Japanese as the main language for the film. The result was a documentary-like film reminiscent of Kurosawa and Imamura. Showcasing some telling differences between American and Japanese forces, the film centers on two iconic characters: General Kuribayashi and Saigo, who personify pride and loyalty. “Letters from Iwo Jima” is filled with poetic similes and metaphors. The film creates great empathy for the Japanese, expounding on how they are ready to die at any moment, but containing a spark of hope shining on the horizon. Director David Lean was the master of telling classic stories. 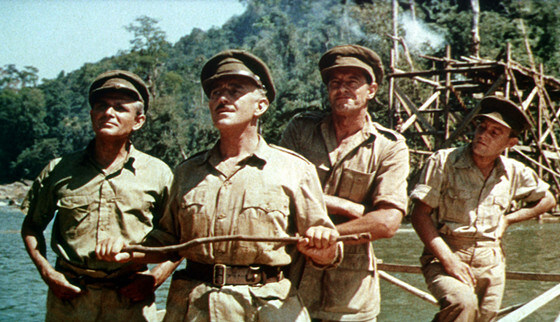 “The Bridge on the River Kwai” is another example of this talent, but isn’t just another war film. It is a prototype for war themed films which have followed. The film exhibits great power in delineating a story of power and survival in a distant and forbidding war zone. Winner of seven Oscars in 1958, the film contains great acting, precise direction and production values ahead of their time. 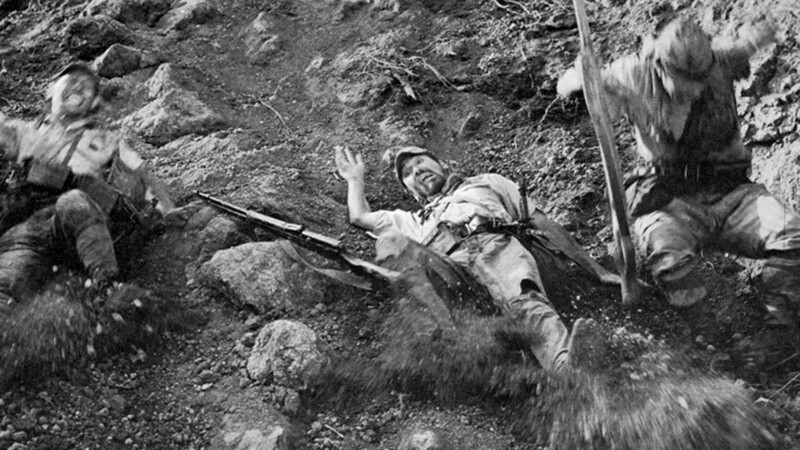 “Fires on the Plain” or “Nobi” is a most underrated war film, even in Japan, its country of origin. Director Kon Ichikawa weaves a motion picture tale with no heroes, no propaganda and no time for lullabies. The film contains very simple, but evocative images. This film is a cinematic trip to purgatory. Ichikawa was noted for the bleakness and darkness of his work. The film follows the fate of some abandoned Japanese soldiers who face starvation during the final days of WWII. The film also reflects the director’s love of classic Japanese literature in its novelistic approach. “This is a simple story, but not an easy one to tell”. 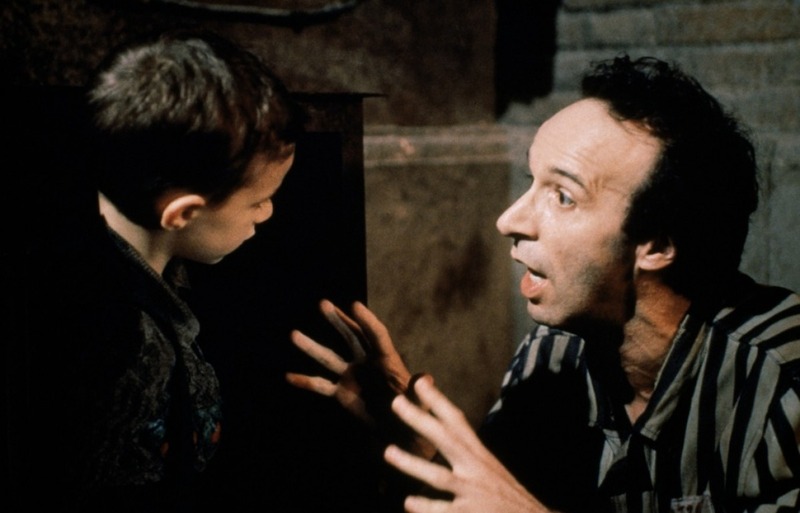 Describing this intimate story taken from his own family history, Roberto Benigni mixes unremitting drama with comedy, creating a delicate and unique balance in this memorable film. The mixture of horror and brutality with flowers of European civilization such as art, music and manners, informs much of what main character Guido is feeling in the internment camp as he concentrates on wife and child. Benigni as actor, writer and director brilliantly maintains the fragile balance which constitutes this much acclaimed film. This is a genial black comedy, told in chapters, a regular device of writer-director Quentin Tarantino. 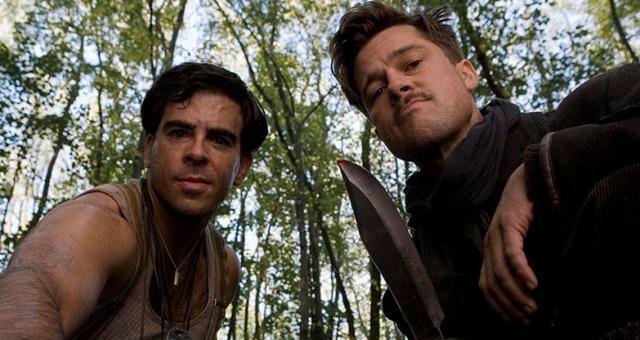 Steeped in irony and satire, “Inglourious Basterds” offers a fictional, alternative history of World War II enacted by such characters as “The Apache” (Brad Pitt), Hans Landa (Christoph Waltz) and “The Bear Jew” (Eli Roth) who imaginatively develop during the story. Taking the concept of anti-hero to high level, this film breaks some stigmas, mixes genres, and continuously rewrites history, replacing rights with wrongs. Tarantino has a flair for creative dialogue, prominently displayed in this film. The opening scene is truly special, being very intense, reaching a kind of climax which never really happens. Balancing clever dialog and shooting, the scene ends with the epic and sweet “Au revoir, Shoshanna”. All of this encapsulates the spirit of the film and epitomizes Tarantino’s cinema. 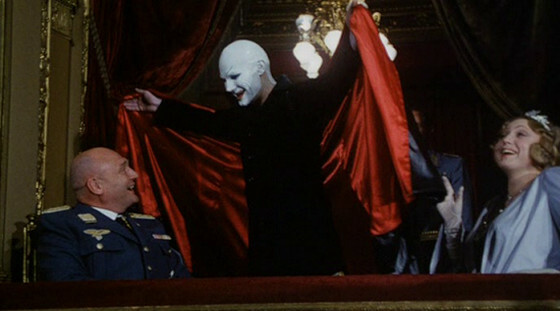 Based on Klaus Mann’s “Mephisto”, this film draws parallels with Faust. In place of selling one’s soul to the Devil, the film displays what happens with the soul sold to the Nazis. This is the fate of Hendrik Hoefgen, the main character in “Mephisto”. Never resorting to the graphic, the film demonstrates how even the most innocent may be corrupted. This winner of 1982’s Oscar for foreign language film is all about art, as the arts play a major role in the self deluding character’s demise. The linchpin here is Klaus Maria Brandauer’s mesmerizing performance. 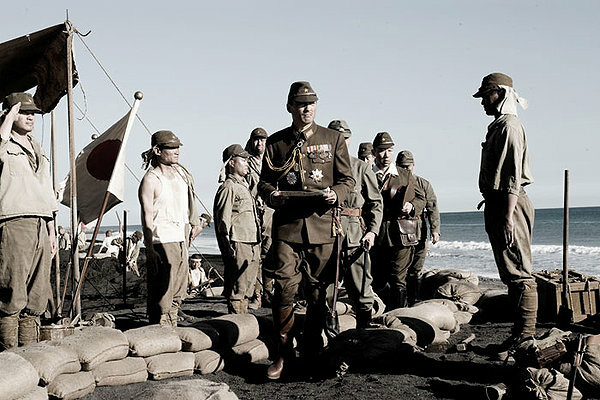 “Der Untergang” is a film with a unique approach. This film doesn’t concentrate on battles or masses but on one of World War II’s central figures: Adolf Hitler. Oliver Hirschbiegel conducts a guided tour through Hitler’s life, decisions, fears and subsequent death, inside the Berlin bunker in which were spent his final days. Bruno Ganz adds another great credit to his resume with this unforgettable performance. The film achieves a disturbing quality by showing the monstrous main character’s benign domestic relationships and sentimental side as he prepares for his end. It seems that even the evil have human moments.